We at A ONE PEST CONTROL are a fully licensed Pest Control Company with many years of practical experience in the field of Pest Management. Within a short period our company has grown into one of Western Australia’s most professional pest control providers. We are committed to supplying first class service to all of our clients and our mission is to maintain this level of quality at all times. Our objective is to offer a Professional Accredited Service by combining skills at the highest level, a smooth integer organisation and a customer service that has satisfied our clients without fail. All our work is guaranteed and all technicians are fully accredited. 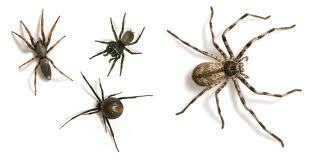 Choosing a reputable Pest control can be a difficult task. AOne Pest Control prides itself in providing the quality service you are looking for. Of course we first investigate to which type of pest control you as the customer’s need. We will provide an in-depth report, so you can make a well based decision in choosing the best service for the right job. Bill is the Operations Manager and has been in the Pest Control Industry since 1997. With his extensive knowledge of Termite Management and General Pest Control you can be certain that you will receive the best advice and service at all times. Bill was also nominated for Pest Manager of the year in 2009. When Bill isn’t working he enjoys going to watch Perth Glory matches. Kelli is the Office Manager and has a wide knowledge of the pest industry and her main role is managing the office duties of job bookings, report processing, MYOB data entry, invoicing, payments, reconciling accounts, billing entries, BAS. Etc. Kelli’s hobbies away from the office are learning photography, cooking & travelling. Why don't you test A One Pest Control, only the the bugs will be disappointed! If you are looking for a Professional Pest Control Company, you can rely on us to get the job done right the first time.